Our quietly located holiday home Hamragil in the north of Iceland was already the focus of the last blog posts. But actually it was the numerous attractions in the north of Iceland that were at stake. Many guests who rent this spacious holiday house with room for up to 10 persons appreciate the space, the quiet location and the in-house hotpot as well as the proximity to the city of Akureyri and the famous Goðafoss. Attractions like Goðafoss, Dettifoss, Námaskarð and Myvatn are known to every Iceland fan who has already travelled to the north of the volcanic island. In addition to these outstanding tourist attractions, you can reach many other natural wonders from our Hamragil holiday home. Just north of Lake Myvatn, in the immediate vicinity of the Námaskarð pass lies the Leirhnjúkur volcano. The Leirhnjúkur volcano is also part of the Krafla volcanic system. 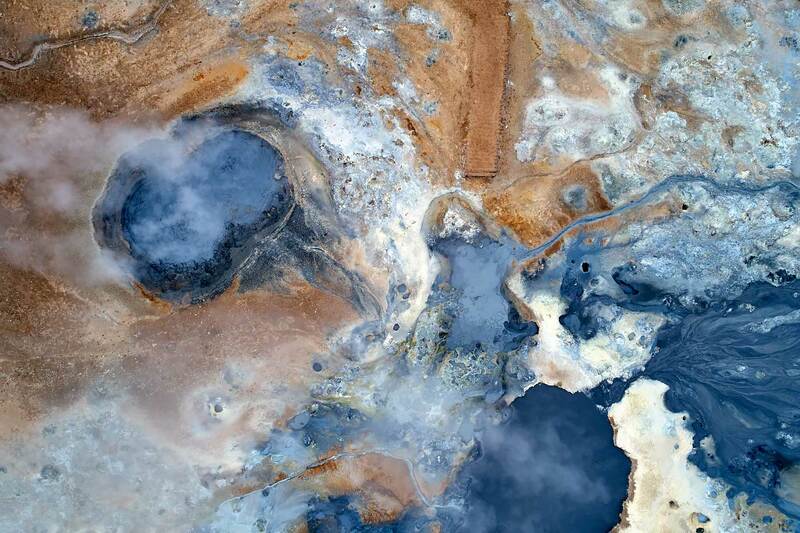 In September 1975 a series of eruptions in the Krafla system began on the northern flank of Leirhnjúkur. This series of outbreaks, the so-called Krafla fires, lasted with interruptions until 1984. 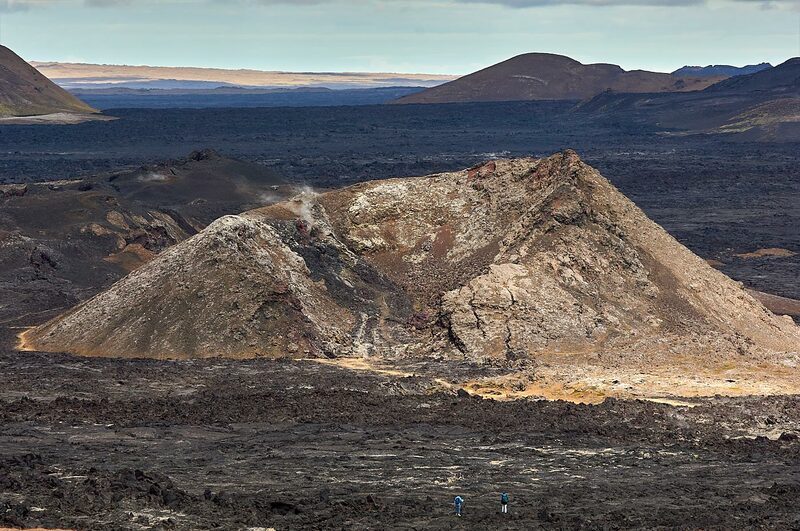 Today you can experience wonderful walks between the still steaming lava fields. A slightly longer hike starts at the Leirhnjúkur car park and ends at Reykjahlíð. The Vitikrater is located north of Lake Myvatn. After the Krafla volcanic area had remained calm for about 1000 years, a period of unrest began on May 17th in 1724, which lasted 5 years with interruptions. During hydromagmatic explosions the crater Víti was formed. Viti means as much as “hell”. 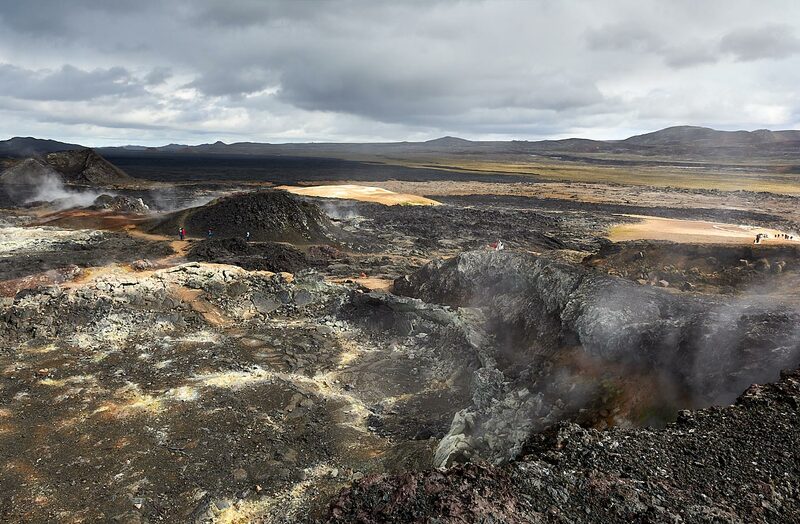 The Vitikrater is located in the immediate vicinity of the lava field of Leirhnjúkur. A day trip, starting from our private owned Hamragil cottage, around the Vitikraters can be combined with a visit to other destinations. 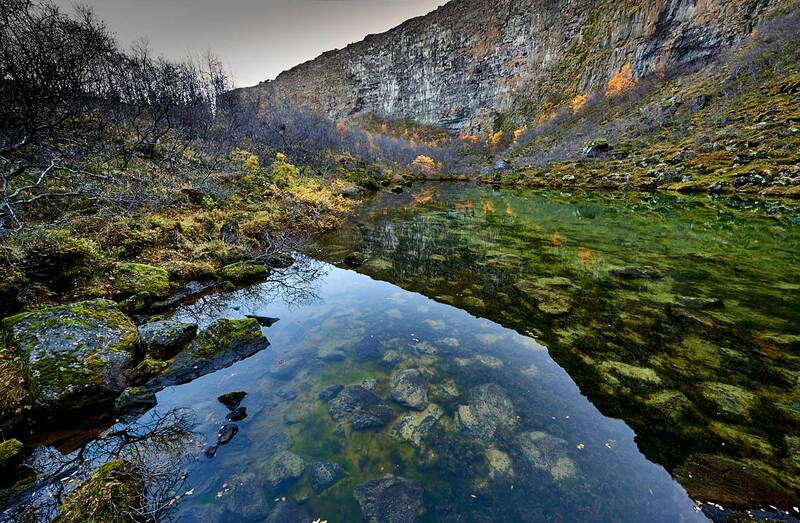 Another attraction in the north of Iceland, which can be easily reached from our holiday home Hamragil, is the Ásbyrgi Gorge. Strong glacier runs helped the gorge to its unusual shape many thousands of years ago. The extremely strong glacier runs were fired by various volcanic eruptions. 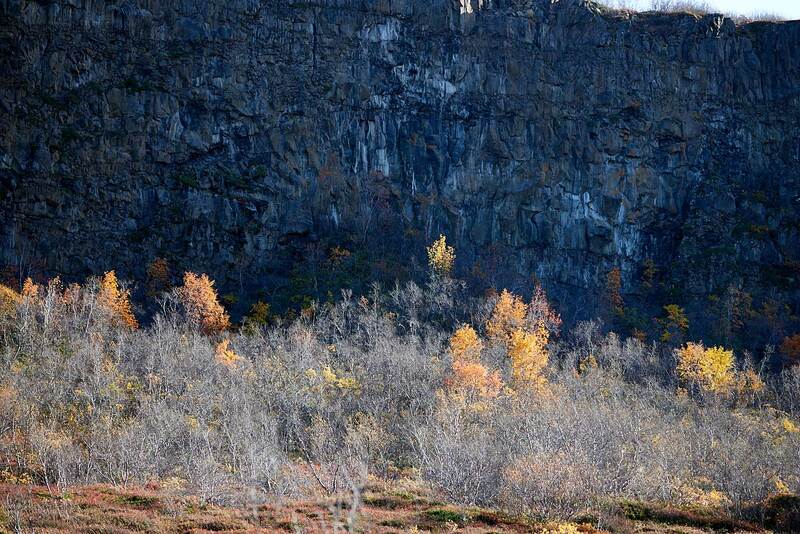 After the course of the river shifted to the east about 2000 years ago, the horseshoe-shaped Ásbyrgi gorge remained. According to Nordic mythology, the gorge owes its shape to a hoofprint: Odin’s eight-legged horse Sleipnir is said to have placed his hoofprint here. No matter what version you want to believe. 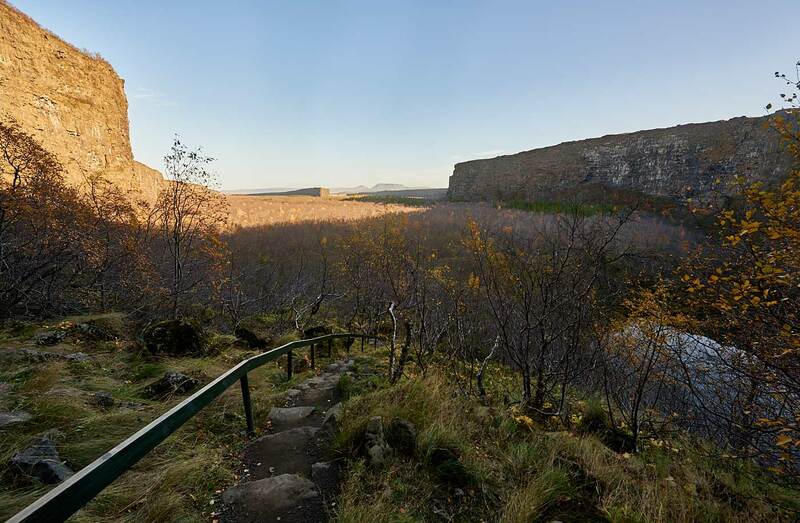 It’s a fact: The gorge is about 3.5 km long and offers a small mixed forest, mainly birch and spruce, which is rather untypical for Iceland. A nice walk leads to a small lake at the end of the gorge. At the beginning of the gorge there is a visitor centre and a gas station with snack bar.